Mother's Day is Sunday, May 13th. There's still time to find the perfect gift for Mom. 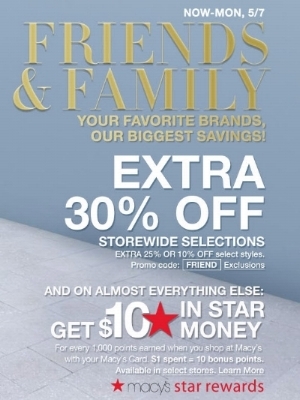 Take an extra 20% off during the Kohl's Friends & Family event. Enter promo code YOUGET20 to redeem online. Print or show the Savings Pass on your phone to redeem in store. Offer valid through 5/6/18. Get $10 off your $50 Mother's Day gift purchase with promo code MOMSDAY10 online. Print or show the Savings Pass on your phone to redeem in the store. Offer valid through 5/13/18. Everyone earns $10 Kohl's Cash for every $50 spent through 5/6/18. Pay with a Kohl's digital gift card from your ShoppingBoss account to earn up to 3% cash back. Simplify your worklife with 25% off your regular priced purchase of PC's, Monitors, Printers, Coffee, Furniture, and more. Offer is valid in-store and online through 4/24/18. Enter coupon code 41638081 online or view the in-store coupon here. Pay with an Office Depot/OfficeMax digital gift card from your ShoppingBoss account to earn up to 3% cash back.